It’s an exciting day here at the office! 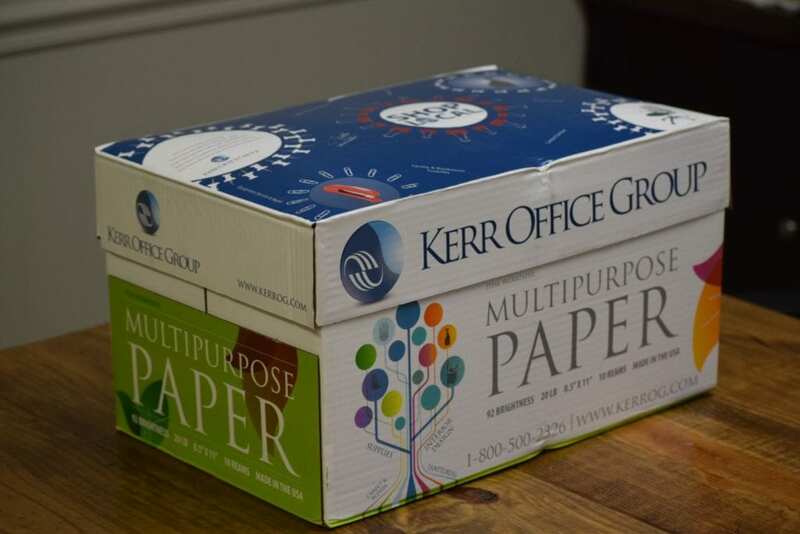 Williams Advertising got our first box of paper from Kerr Office Group and Cornette’s! What makes this such an exciting day? We designed the packaging for this paper box! When Elizabethtown-based corporation Kerr Office Group came to us with their package design project, we were more than happy to help. Kerr Office Group recently purchased Hopkinsville office product store Cornette’s. 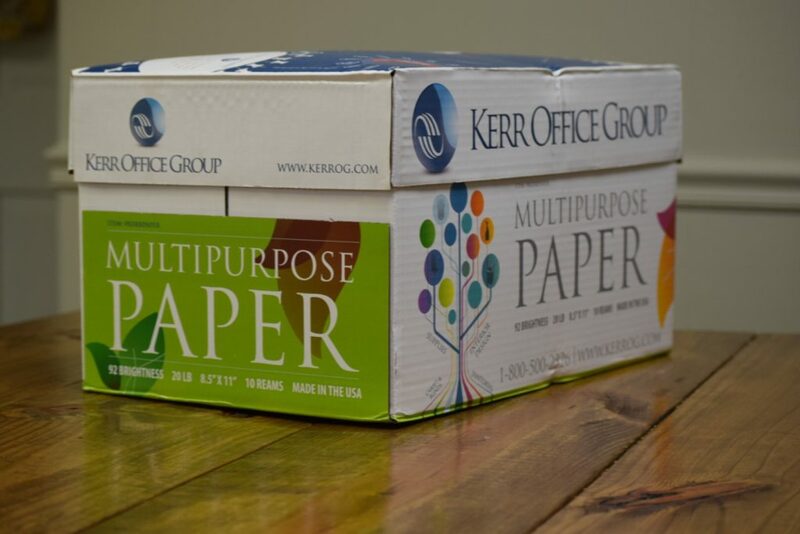 This Kentucky company got the opportunity to begin printing their paper boxes in full color. In comes our fun, fresh and colorful design. Hints of other services Kerr offers are displayed throughout the box, whether a faint hint on the sides or within the Shop Local design on the top of the box. 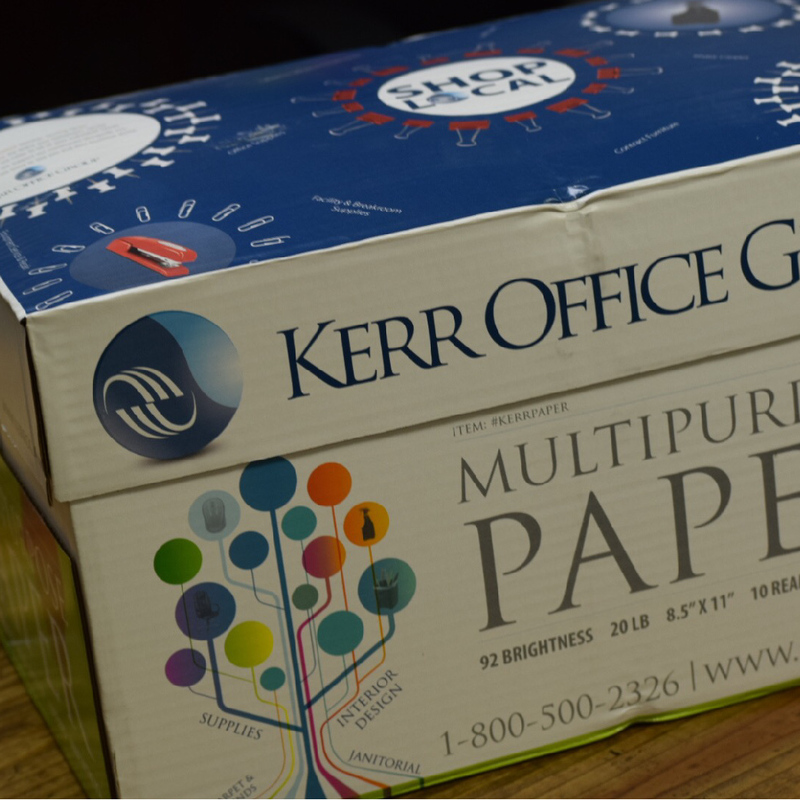 It was an honor to work with Kerr on this project, and we appreciate them entrusting us with their paper package design. 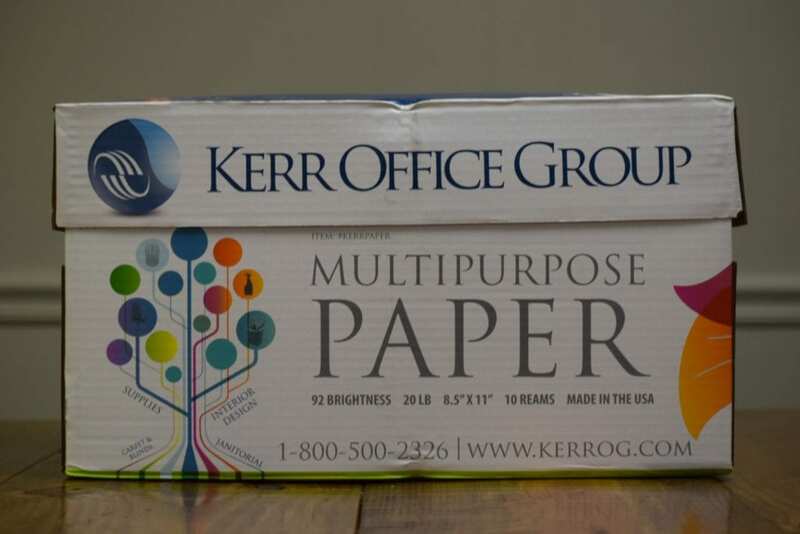 Make sure to visit www.kerrog.com to find out more about Kerr Office Group (and order your paper! ).